Rammed at an intersection by a drunk driver? Rear-ended by a distracted texting driver? Sideswiped by road raging commuter? These situations are all too common each day during the morning commute to work. In fact, a sobering number of lives are taken from traffic related accidents each and every year by situations such as these. Many more are seriously injured taking away one’s ability pay their bills, work, or even play with their children. Do not be mistaken, insurance companies DO NOT want to fairly settle your case. Instead, insurance companies want to delay your claim for an extended period of time in the chance that you will simply get frustrated and give up. In many cases, this is precisely what occurs. For this reason, you need a legal advocate from the start to deal directly with the insurance company. Many insurance companies will tell you that you are required to give a recorded statement. This is not always true. You are not always required to give a recorded statement, and in most cases we strongly advise our clients against providing any recorded statements what-so-ever. If you or a loved one has been injured in an auto accident and need help dealing with insurance companies, contact us today. We can evaluate your case to determine whether we need to bring legal action against the insurance company. We are here to listen to you first, and determine a course of action second. Many individuals are enduring lasting brain injuries that go largely undetected. 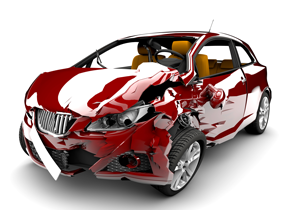 The insurance companies have scrambled to avoid paying large settlements that individuals expect when they are severely injured in these automobile wrecks. Commonly, individuals suffer from invisible injuries, such as concussions, which go undetected and result in a devastating loss of income and medical bills. In fact, while concussions do not leave patients with physical dismemberment, those injured would say that concussions are by far worse because it renders the injured unable to accomplish the tasks of their job or show up for work. Because the injury is invisible, it causes significant damage to the livelihood of the injured. Let us help you get the attention that you deserve.